Pharmaceutical Conferences team cordially invites participants from all over the world to attend "Asia Pacific Pharmaceutics and Drug Delivery System" (Asian Pharmaceutica 2019) slated on October 16-17, 2019 at Singapore. This Pharmaceutics Conference includes a wide range of Keynote presentations, Oral talks, Poster presentations, Symposia, Workshops, Exhibitions, and Career development programs. Get to the heart of why formulation and delivery strategies fail. Dissect the challenges before looking for concrete solutions. Understand how to develop the right formulation and delivery strategy with a strong scientific, clinical and commercial mind set. Discover the latest innovations in drug delivery devices. Be inspired by innovative case studies and realize the potential impact on your formulation or delivery processes. Share experiences, insights and strategies in interactive peer to peer round tables. Hear more perspectives in one place – from large medium and small organizations from pharma, biotech and academia. Discover how scientific formulation advancements are being implemented in practice. Pharmaceuticals are one of the world's most profitable industries. During the last 30 years, the industry has spent billions of dollars on research and reaped billions in return. In 2008 alone, the pharmaceutical industry sold $773 billion in products worldwide-a number that has consistently grown for the past 8 years and is projected to increase again by 2.5 to 3.5 percent in 2018. 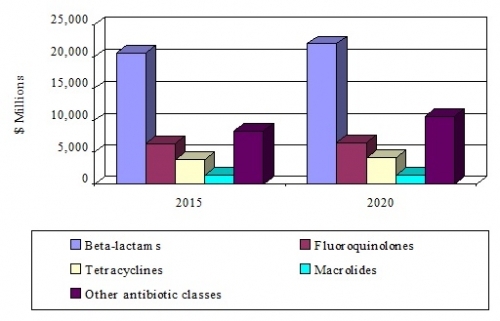 The beta-lactams market should reach over $22.0 billion by 2020 from over $20.6 billion in 2015, a CAGR of 1.3% from 2015 to 2020. The other antibiotic classes market should reach over $10.6 billion in 2020 from nearly $8.3 billion in 2015, a CAGR of 5.0% from 2015 to 2002. 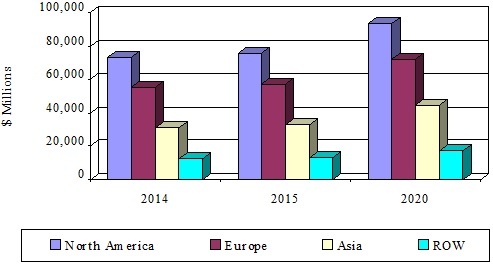 The global excipients market should reach nearly $6.9 billion by 2020 from over $6.2 billion in 2015, a compound annual growth rate (CAGR) of 1.9% from 2015 to 2020. The organic excipients market should reach $6.3 billion by 2020 from nearly $5.8 billion in 2015, a CAGR of 1.7% from 2015 to 2020. 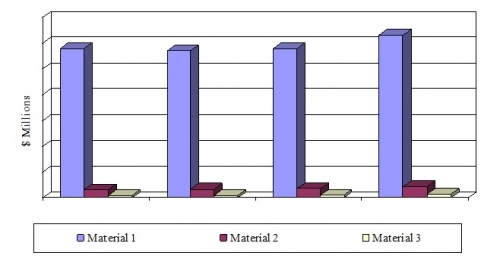 The inorganic excipients market should reach $433.7 million by 2020 from $351.9 million in 2015, a CAGR of 4.3% from 2015 to 2020. The global ophthalmic therapeutic drug market was valued at $12.3 billion in 2014. This market is expected to reach $19 billion by 2019, with a compound annual growth rate (CAGR) of 9.1% from 2014 to 2019. The global age-related macular degeneration (AMD) market is expected to grow to nearly $7.9 billion by 2019 from nearly $5.4 billion in 2014, a CAGR of 7.8% from 2014 to 2019. The global glaucoma therapeutic market generated revenue of $3.8 billion in 2014, and by 2019 this segment is expected to generate $6.4 billion, with a CAGR of 11.1% from 2014 to 2019. The global market for skin disease treatment technologies reached $16.4 billion in 2014 and $17.1 billion in 2015. The market should reach $20.4 billion in 2020, demonstrating a compound annual growth rate (CAGR) of 3.6% from 2015 to 2020. The U.S market for skin disease treatment dominates the global market throughout the period, and totaled $7.3 billion in 2014. The market should reach $7.5 billion in 2015 and $8.6 billion in 2020 at a CAGR of 2.6% from 2015 to 2020. BRIC (Brazil, Russia, India, and China) is the fastest growing region of the global dermatology market with a CAGR of 6% from 2015 to 2020. The market totaled $3.5 billion in 2015 and should reach more than $4.6 billion by 2020. The global market for vaccine technologies reached $33.3 billion in 2016 and should reach $45.2 billion by 2021, growing at a compound annual growth rate (CAGR) of 6.3% from 2016 to 2021. Human vaccines as a segment of this market reached $27.2 billion in 2016 and should reach nearly $37.5 billion by 2021, growing at a CAGR of 6.6% from 2016 to 2021. Animal vaccines as a segment of this market reached nearly $6.1 billion in 2016 and should reach $7.7 billion by 2021, growing at a CAGR of 4.9% from 2016 to 2021. The global market for breakthrough therapy designation (BTD) drugs should reach $99.2 billion by 2022 from $48.8 billion in 2017 at a compound annual growth rate (CAGR) of 15.2%, from 2017 to 2022. The cancer therapy segment of the breakthrough therapy designation drugs industry is the largest market. The market is expected to grow from $19.6 billion in 2017 to $58.6 billion in 2022 at a CAGR of 24.5% for the period 2017-2022. The CNS and neurology therapy segment of the breakthrough therapy designation drugs industry is expected to grow from $956 million in 2017 to $8.4 billion in 2022 at a CAGR of 54.3% for the period 2017-2022. Pharmaceuticals represented a US$300 bn-a-year market globally as of 2015, the World Health Organization states. The global pharmaceutical market is expected to surpass US$400 bn by 2018, with the ten largest pharmaceutical companies collectively commanding about a third of the market. Companies in the pharmaceutical industry are characterized by their sizeable expenditure on R&D and marketing initiatives in a bid to rake in more revenue. The development of biopharmaceuticals represents a milestone for the industry and personalized therapies carry immense promise in the near future. The global market for cancer vaccines totaled $4.5 billion in 2013 and reached nearly $4.0 billion in 2014. This market is expected to reach $4.3 billion by 2019, registering a compound annual growth rate (CAGR) of 1.3% for the period 2014-2019. The global market for “silent” cancers was valued at $8.5 billion in 2013 and $9 billion in 2014. This market is expected to reach almost $13.6 billion by 2019, with a CAGR of 8.5% from 2014 to 2019. The global market for incretin-based therapeutics was valued at nearly $11.8 billion in 2013 and $12.7 billion in 2014. This market is expected to reach $22.8 billion by 2019, with a CAGR of 12.4% from 2014 to 2019. The global market for cancer vaccines was valued at nearly $4.2 billion and $4.0 billion in 2014 and 2015, respectively. This market is expected to decline from nearly $3.5 billion in 2016 to $3.4 billion in 2021 at a compound annual growth rate (CAGR) of -0.4% for 2016-2021. The global drug delivery technology market is projected to reach USD 1,669.40 Billion by 2021 from USD 1,179.20 Billion in 2016, at a CAGR of 7.2% during the forecast period. This market is segmented based on route of administration, facility of use, and region. The drug delivery technology is highly competitive market, comprising of various players. Prominent players in the drug delivery technology market include Johnson & Johnson, Inc. (U.S.), F. Hoffman-La Roche (Switzerland), Merck & Co., Inc. (U.S.), Bayer AG (Germany), Pfizer, Inc. (U.S.), Novartis AG (Switzerland), 3M Company (U.S.), Becton, Dickinson and Company (U.S.), GlaxoSmithKline plc, (U.K.), Sanofi (France), and Antares Pharma, Inc. (U.S.). Key players having a presence in the global nanotechnology drug delivery market are AbbVie, Inc., Amgen, Inc., Celgene Corporation, Johnson & Johnson, Merck & Co., Inc., and Novartis International AG, among others. Some of the leading companies operating in the global active pharmaceutical ingredient market are Zhejiang Medicine Co., Ltd., Teva Pharmaceutical Industries Ltd., Zhejiang NHU Co., Ltd , North China Pharmaceutical Group Corp. (NCPC), Dr.Reddy’s Laboratories Limited, Northeast Pharmaceutical Group Co., Ltd., Aurobindo Pharma Limited, Sandoz (Novartis AG), Zhejiang Hisun Pharmaceutical Co., Ltd. and Zhejiang Huahai Pharmaceuticals Co., Ltd. amongst others. Currently, these players are focusing on partnering with other companies to acquire a new line of products to add value to their portfolio. Furthermore, companies are also anticipated to focus on expanding their capacities to cater to the vast unmet medical needs of the world.